The main objective of this project was to increase the positive profile of the libraries throughout the community by promoting their services to new sectors of the community. The Octoberfest Festival included crafts, storytelling and a broad range of activities to targed different audiences. 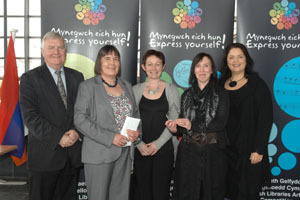 Neath Port Talbot were awarded Second Place out of the Public Libraries in the competition.